Die clash...1974 50 cent piece. Found two of these while I searched for missing "S" variety. the lion's tongue touches the queen's chin. 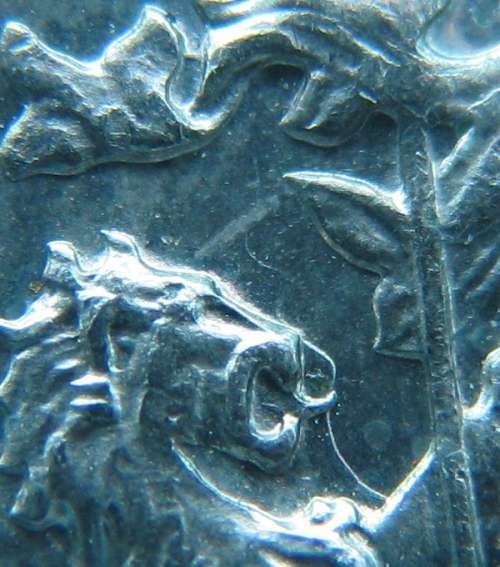 That's not called a die clash,but to see ghosting on Canadian nickel 50c. coins is still a very interesting thing though. 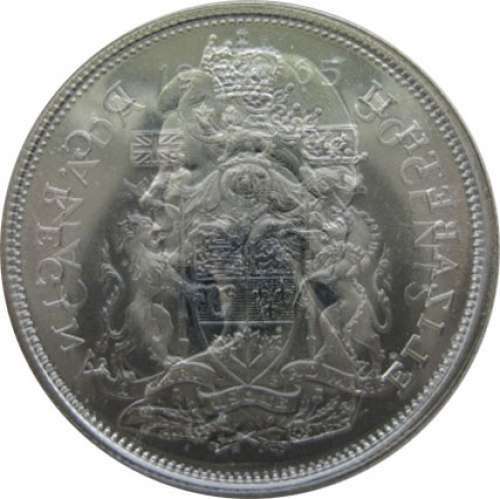 By the way,did you get my PM telling you that you need to update your link for the British Commonwealth Numismatic Forum,& telling you that there is no longer a British Commonwealth Numismatic Project? Trying to email you to let you know has just been impossible. Hi Aidan, I did change the link. I think this is a die clash, not ghosting which could not be as sharp. The Queen's portrait on the Canadian coins of the 1970's,especially the 50c. 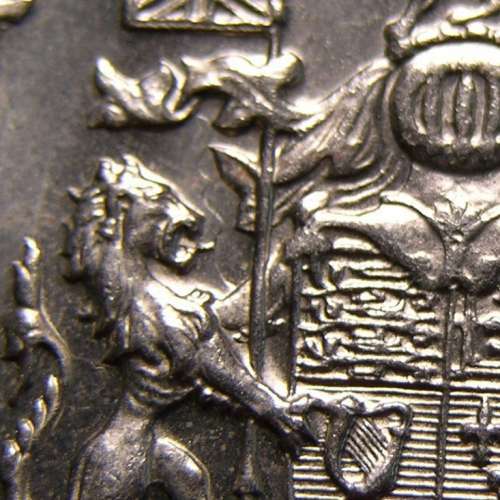 coins are in very high relief,which is why the ghosting occurs from time to time.It is the similar sort of problem that occurs on the King George V coinage of Great Britain. Can you please get in touch with me? You can send an email to me at britishcommonwealthnumismatics(at)gmail.com (replace '(at)' with '@')? It is a die clash. Nice coin zonad. You can easily see the chin, lips and the bottom of the nose. This is definitly a die clash. As zonad said, ghosting wouldn't be as sharp as what we can see here. Here's a 50 cents George VI with the same kind of clash. I agree too, it's a very nice die clash. Could be exist with the missing "S" ? I just find one in 1975. Lightw4re wrote: It is a die clash. Nice coin zonad. In my opinion and from my understanding it is defenitly a die clash Zonad, nice coin. I have to agree! It is a clash, and one I would enjoy having in my group of clashes! I think the lion is enjoying the "kiss. she Is a beauty! Re: Die clash...1974 50 cent piece. I recently found a 1974 missing S. How rare are they really? this site lists them at 10 bucks for circulated condition. I have looked everywhere for info and nothing!